Did you guess what place we featured yesterday? 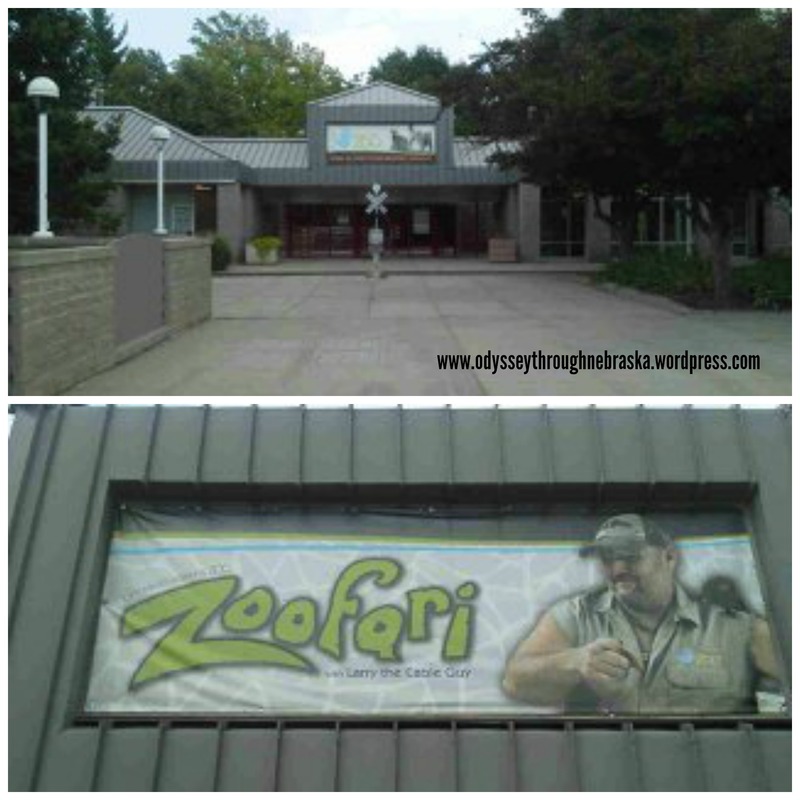 One interesting program that was started last year was Zoofari with Nebraska’s own Larry the Cable Guy. Throughout the zoo, you can see the videos playing which tell about the science behind zoology in a fun way for kids. The best part about these videos? They were developed with children’s hospitals in mind to bring Zoofari to children who maybe cannot visit the zoo right now themselves. In the future I hope to do another post after I have traveled through the zoo purposefully with the intent to share ideas. For now I will simply share our favorite things about the zoo. We love watching the penguin show. Just wandering around to look at all of the different animals can keep my kids entertained for hours. Usually each visit we are there for almost all day, and the zoo is really not THAT big. My kids just enjoy visiting. Of course, our other favorite part is riding the train. But empty cars are definitely a bit sad. 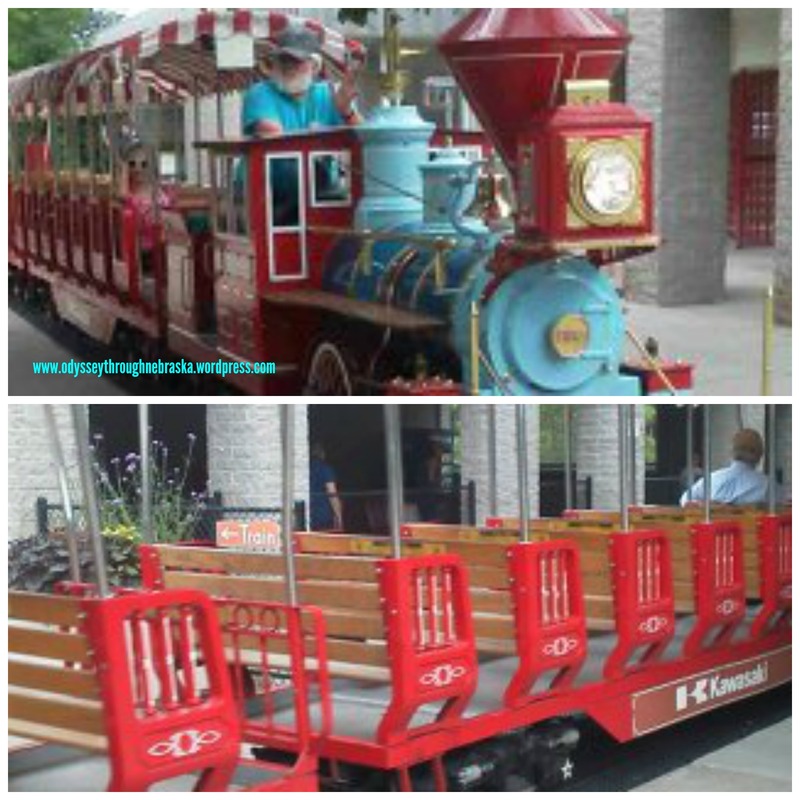 The train cars look much more fun when filled with happy kids! Especially my boys have loved riding when they were younger. Although we went there right before one of my kids turned two. He was not such a fan and sobbed loudly the whole two times around the zoo’s perimeter. Funny now but rather frustrating at the time! 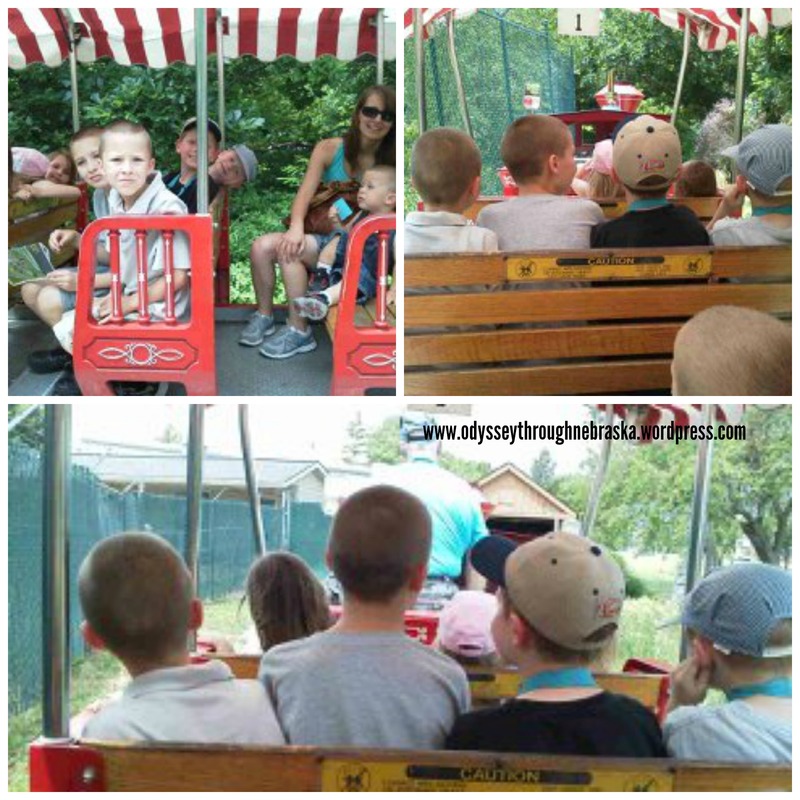 The Lincoln Children’s Zoo has all kinds of classes and programs for kids of all ages. If you have a teenager, they can even volunteer with the zoo crew. Memberships are also available. We enjoyed having one a few years ago, but due to a busy summer ball schedule, we usually just manage to make it there once now. But I do always look forward to our annual trip! P.S. If you make a trip to the Lincoln Zoo next week, you could win a family membership simply by taking your picture! They are part of the See Lincoln: Picture to Win Contest. Here are the details on what you need to do to participate. Perhaps writing about a park when the state is covered with snow watches is a bit premature. But, the month on the calendar does read April, and one week from now, the temperature is supposed to be in the 70’s. Surely spring will come someday, right? 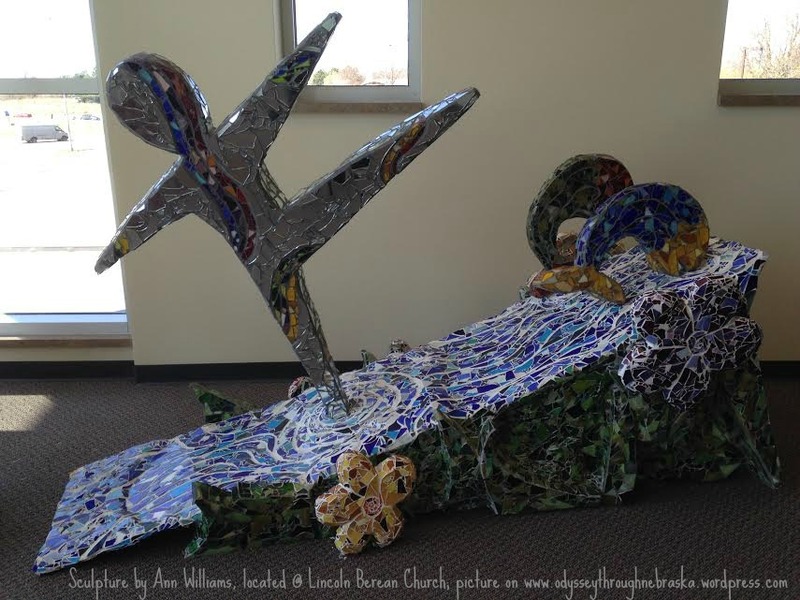 So, hopefully this post will encourage you to know that sunny days are ahead! I have to say that Union Plaza Place Park is one of my favorite family destinations! Traveling the trails around the park on a bike is particularly fun! So is exploring all of the nooks and whimsical features. The park is full of unexpected surprises. Including an area where you can play chess with rocks. Or do rubbings of nature elements. Even Fido is not forgotten with designated areas for pets. You can also see more pictures of the park there. At the moment, I am not getting my backup drive to cooperate, so I only could post some cell phone pictures. (Not exactly quality!) If you have not taken the time to check out Union Plaza Place Park for yourself, I would highly encourage you to do so. The park is located between about “Q” and “Vine” streets near 20th. Definitely worth your time to explore!